Birth of the New World: Conflicts and Responsibility. Session of the Valdai Club at the World Festival of Youth and Students-2017. 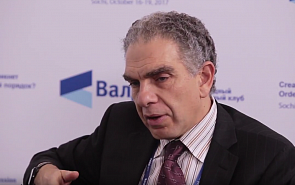 Marc Uzan, Executive Director of the Reinventing Bretton Woods Committee, talks about growth dynamics of the global economy and overcoming the low growth rates through a new global governance framework.